…Colombia with their unbeatable barras de limón! Group C was the group of death in our tournament – both the Ivory Coast and Greece would have gone through from almost any other group. The four of us rated each dish or meal out of ten, which I then averaged. If I cooked more than one dish from a particular country, I averaged all the dishes into one score. This tended to give single dessert countries like Colombia an advantage. Portugal’s pasteis de nata outscored the barras de limón – in fact, they earned the only 10 in the tournament – but scored lower overall, due to averaging with the more wholesome caldo verde. 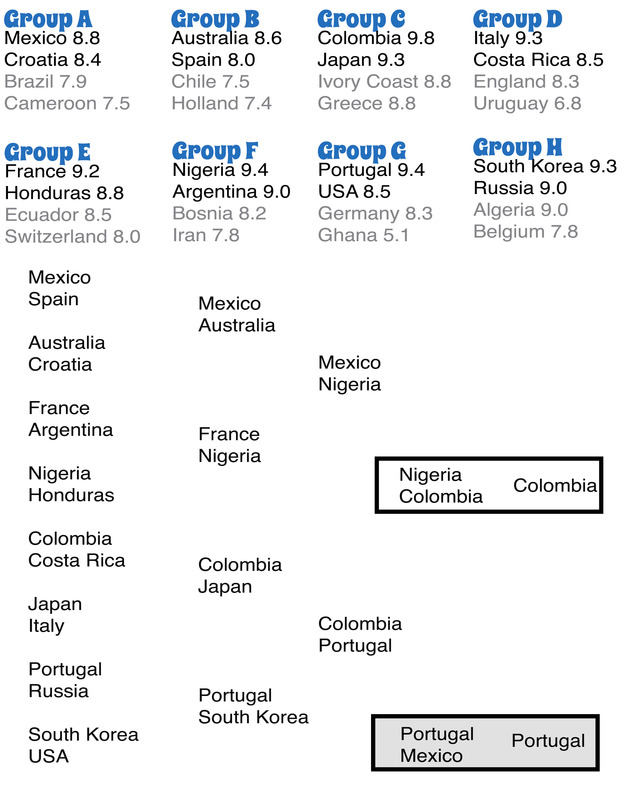 Still, Colombia was a worthy winner with an impressive 9.8, and Portugal did win a well-deserved third place.